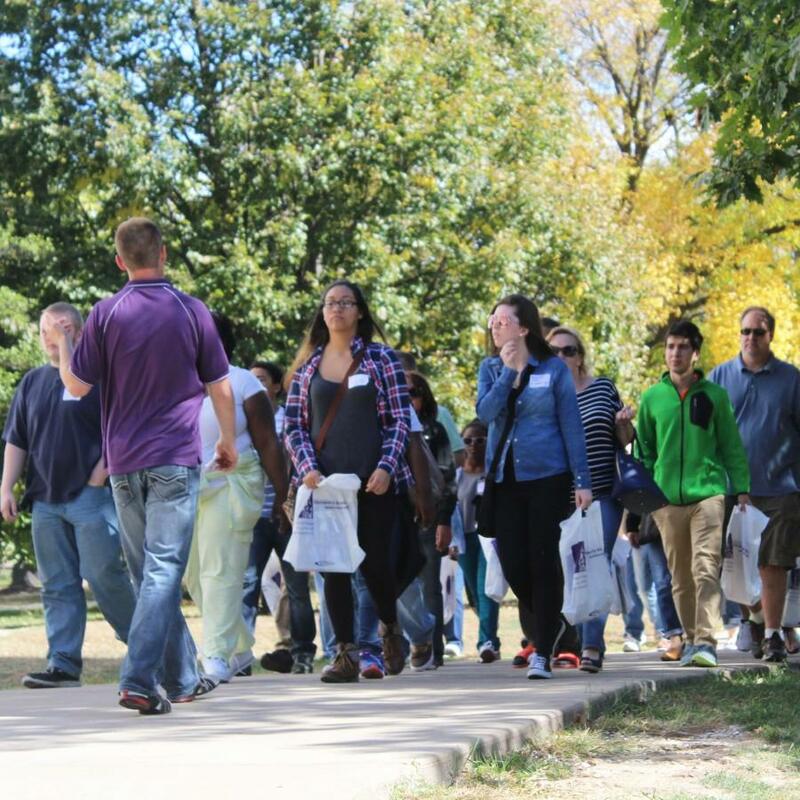 Prospective students tour Western's campus on Monday, Oct. 12. Discover Western came rolling through campus Monday, Oct. 12, which brought along potential Leatherneck students. One of the many guides was Rashaad Adams, a junior kinesiology major. Adams is from East St. Louis, Illinois and is the student committee chair for Discover Western as well as treasurer for the Picture Perfect Modeling Troupe. He was referred by a friend three semesters ago, so he applied and got hired. Many of the students visiting today traveled from as far away as Glenwood, Illinois like Jessica Lloyd, who plans on majoring in broadcasting and journalism. Some potential students even plan on participating in intramural sports; Alexandra Soltis, from Crystal Lake, Illinois, who is looking forward to intramural soccer. She also plans on majoring in human resources management with a minor in supply chain management. There were others among the group still planning on attending Western, but were currently undecided for what they would like to study. Along with Adams, another part of the Discover Western event are its tour guides. Many of them described their favorite part to show to prospective students. Hayley Healy, a senior and Physical Education major at Western, likes to show them the track located on the top floor of the recreational center. Sara Peterson, a senior also majoring in physical education, enjoys walking the perspective students up to the track as well.